On warm summer days, walls and floors with thermal mass will steadily absorb heat at their surface, and store it until exposed to the cooler air of the evening/night. At this point, heat will begin to migrate back to the surface and be released. In this way, heat moves in a wave-like motion, alternately being absorbed and released in response to the change in day and night-time conditions. This ability to respond naturally to changing conditions helps stabilise the internal temperature and provides a largely self-regulating environment, reducing the risk of overheating and the need for mechanical cooling. 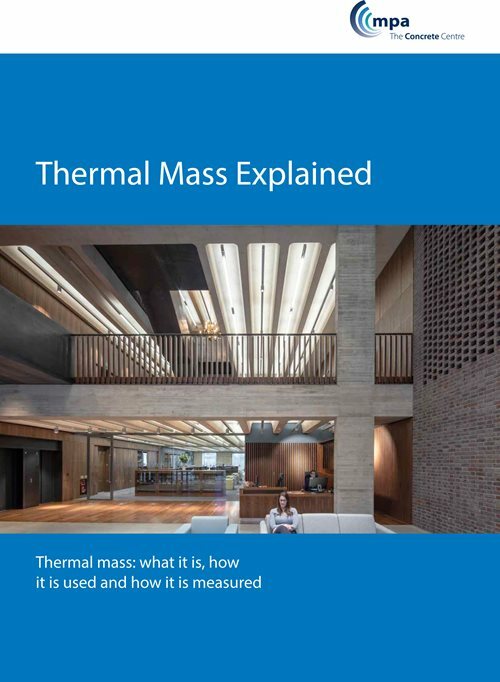 Graphic from Thermal Mass Explained. Download for more details.